Heron's Crafts: Doctor Who is Back! Finally, Doctor Who is back! 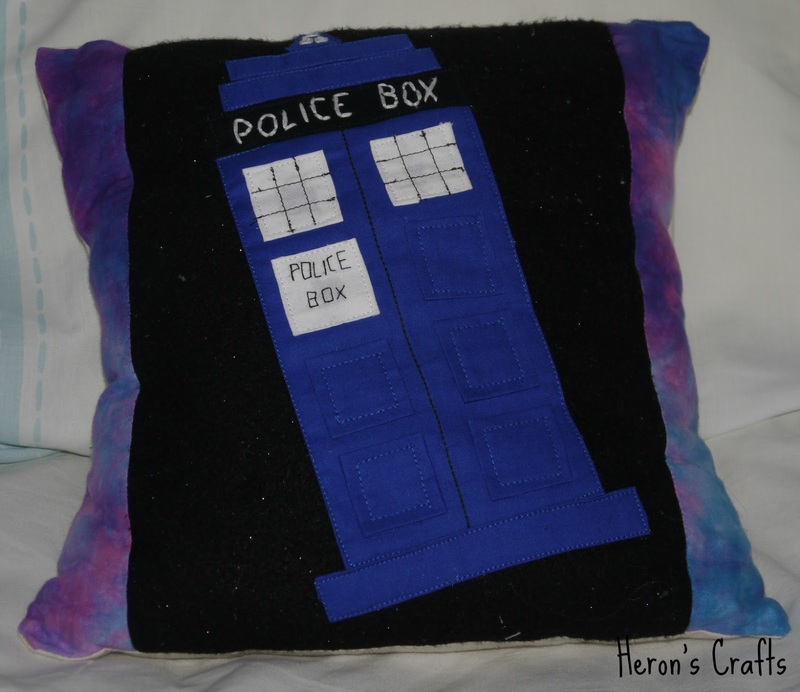 Which means that I can share my TARDIS cushion that I made last year. I found this black, star-studded felt in hobbycraft last Summer and knew that I had to buy some although I had no idea what for. Shortly after, I realised that it was the perfect night sky, and the tie-dye pink/blue fabric on the borders of the cushion looked quite like a galaxy! So my cushion was born. I used simple applique to add the pieces that make up the TARDIS itself and then embroidered the words. Did you watch it tonight? Thoughts? Yes I did watch it! Amazing. I love your cushion as well! No I didn't know this ... but your cushion is so gorgeous! Love the fabulous colors!